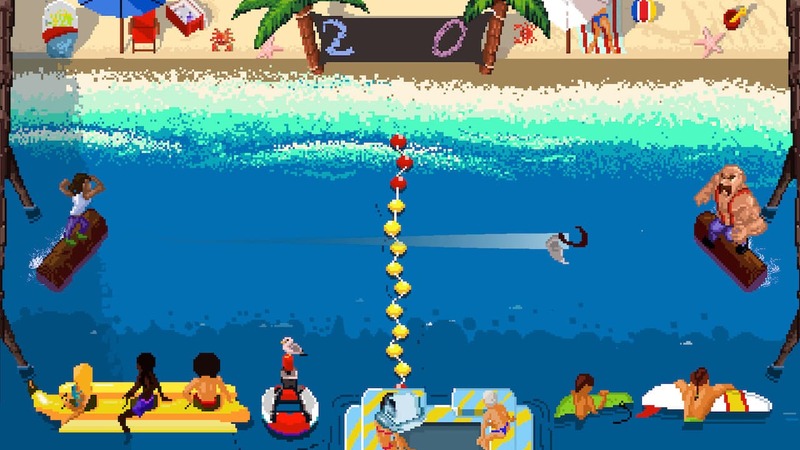 Mega Cat Studios has announced that Log Jammers will release on Nintendo Switch, an energetic competitive arcade sports game with axe-throwing and blade-catching action. The Kickstarter-backed project has a vibe that’s similar to Windjammers, and, with unique character abilities to temporarily lend you an advantage, you must slam your axe into your opponent’s goal to score points. In arenas like a mayonnaise factory spill, ’80s hell or a peaceful beaver pond, you can trash talk your vanquished opponents and collect powerups that can set your axe ablaze or cover your competition in slippery oil. Log Jammers will release on the Nintendo eShop for Nintendo Switch worldwide in January 2019.